“When you come together, each one has a hymn, a lesson, a revelation, a tongue, or an interpretation. Let all things be done for building up [the church]” (1 Corinthians 14:26 NRSV). The witness of 1 Corinthians illuminates a biblical vision for collaborative, collective worship. To the church in Corinth, Paul writes, “each one has a hymn, a lesson, a revelation, a tongue, or an interpretation.”It’s not clear that Paul’s directive was ever fully followed. Liturgical historian, Paul Bradshaw, reminds us that edicts don’t necessarily correlate with practice, but rather, often indicate that “the very opposite of what they were trying to promote must have been a widespread custom at that period.” He continues, “writers may sometimes be suspected of hyperbole in the things they say, but they do not usually tilt at non-existent windmills.” So it’s safe to assume that the Corinthian church was likely as eager to “open the floor” for worship contributions as many North American churches are today. A summary of Paul’s instructions might be distilled to salient points that help us identify defining qualities of Christian worship. That is, Christian worship is an interdependent offering of gifts by all members of the community, done in an orderly fashion for the building up of the body to the glory of God. So do Paul’s recommendations mean that we should consider a worship format that’s closer to an open mic event? Anyone familiar with such a practice knows that without intentional facilitation, the perils can outweigh the positive possibilities. For example, in churches of even moderate size, a self-selected group of open mic contributors rarely represents a majority of the congregation and can often reflect more atypical—and sometimes problematic—points of view. So how can we can, with integrity, create space for inclusive contributions by a diversity of worshippers? 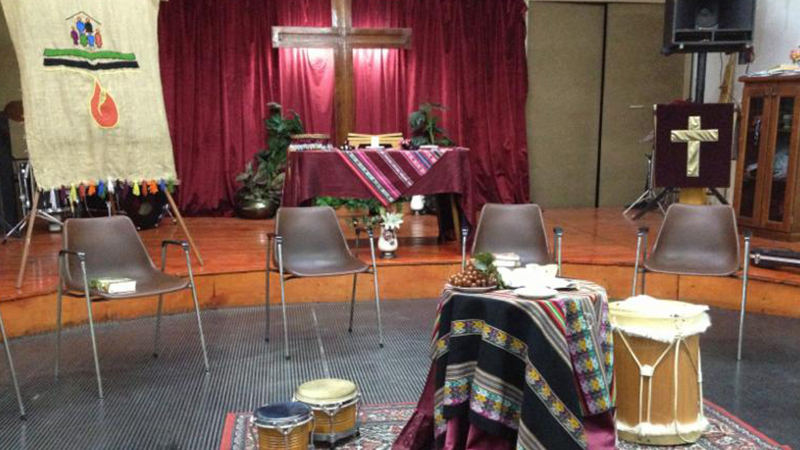 Include a diverse group of people in weekly worship planning meetings. If no such meeting is possible, try even simply choosing songs together with the full worship ensemble. Be willing to accept suggestions that do not reflect your preferences. Second-guess your own reaction to ideas with which you don’t readily resonate. The fact that not everyone agrees only underscores the importance of considering differing perspectives when planning worship. If weekly collaboration is impracticable, quarterly meetings to discuss upcoming seasons of the church year can provide great opportunities for collective contributions. Such less frequent, broader discussions have the added benefit of being accessible to those whose insights are less focused on particularities related, for example, to choosing specific congregational songs. And greater distance from the demands of a quickly approaching worship gathering will allow for a different horizon of assessment and imagination. Congregational surveys can offer a majority of worshippers the opportunity to help shape the church’s worship practice. But in order to both cultivate community and discern more nuanced, qualitative, relational knowledge and worshipper wisdom, anonymous surveys can be augmented with in-depth interviews, conducted by members of the leadership team. Paul describes a normative practice of allowing everyone to contribute to collective worship. And despite the challenges that attend such an effort, the rewards are not otherwise achievable. Collective wisdom not only enriches corporate worship, the process of contributing is itself integral to worship practice that builds up the church. Fully participating in worship involves an encounter with a self-giving God and other worshippers in which participants not only receive but also have the opportunity to give back. And such a mutual process can indeed build up the Body of Christ, when the full, diverse Body of Christ is included, affirmed, and empowered in a way that embodies God’s love for and gracious welcome of all human beings. Paul E. Bradshaw, The Search for the Origins of Christian Worship: Sources and Methods for the Study of Early Liturgy (New York: Oxford University Press, 2002), 18-19. Todd E. Johnson, “Liturgical Theology as Ritual Congruence,” forthcoming in We Give our Thanks Unto Thee, edited by Porter Taylor (Eugene, OR: Wipf & Stock, 2018).